The singer took to Twitter to thank her fans for their support and wishes during the tough period of her life. Singer-songwriter Kesha has apparently finished her stint in rehab. The 27-year-old ‘Tik Tok’ hitmaker took to Twitter to thank her fans for their support and wishes during the tough period of her life, reported Ace Showbiz. She also uploaded a picture of herself gazing out of a plane window. 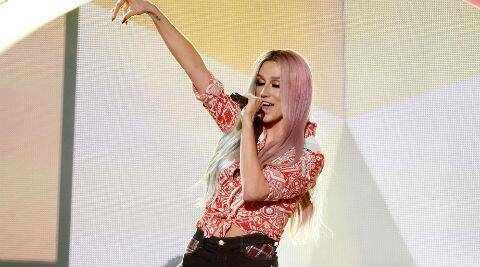 Kesha was forced to cancel her tour in January this year to seek treatment for eating disorder.